This entry was posted in Drift Lesson, Posting by Ariff, Sync Optima Events and tagged ae86 drift malaysia, Car control, Car drift clinic, Car drift experience, Car drift lesson, Drift 101, Drift academy malaysia, Drift clinic, drift lesson, Drift school, Drift techniques, Drift training, Drifting 101, Drifting in malaysia, Introductory to drifting, Malaysia drift school on January 18, 2017 by skagee. This entry was posted in Gymkhana, Sync Optima Events and tagged Gymkhana evo, Gymkhana honda, Gymkhana Malaysia, Gymkhana toyota, Malaysia gymkhana series, Malaysia motorsport 2016 on December 6, 2016 by skagee. 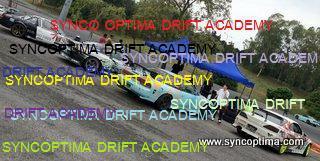 This entry was posted in Drifting, Sync Optima Events and tagged Petronas Xtrack drift on November 27, 2012 by skagee.